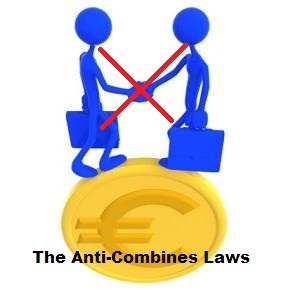 The Anti-Combines Laws & Merger Types | Finance & Economics!!! It seems that more conglomerate mergers are happening today. I find this frightening because, first of all, the conglomerate will gain power in too many areas of society, and second, the general public is not aware of all the branches of this conglomerate. We might work for a company owned by another entity and not even be aware of it, yet its decisions may affect us in major ways. Such mergers, as you state, are less interested in society’s benefit, because there are so many different interests in that conglomerate, and their sole purpose is increasing “the bottom line.” Therefore, their decisions will be based solely on profit without considering the benefits – or detriments – to society. 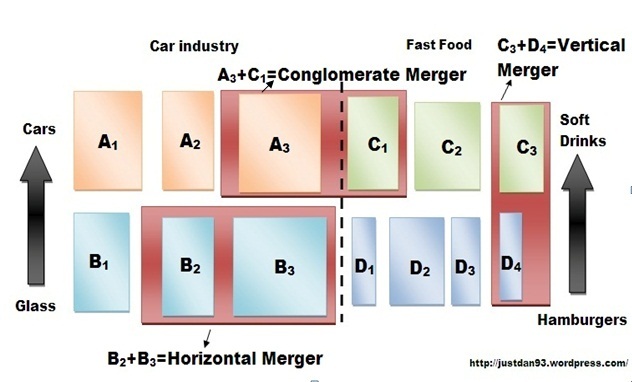 We need to reinforce laws to split up these massive mergers (anti-combines). Thanks for this article, which caused me to think and write this post! Great response to the article…and great article. Maybe this is different, and not related at all…but the telecom industry was broken up, then reformed again via mergers into giants again. Hi dear friend, how can I contact you? what’s your email address or skype ID? Hi, you can write here. It’s fine!